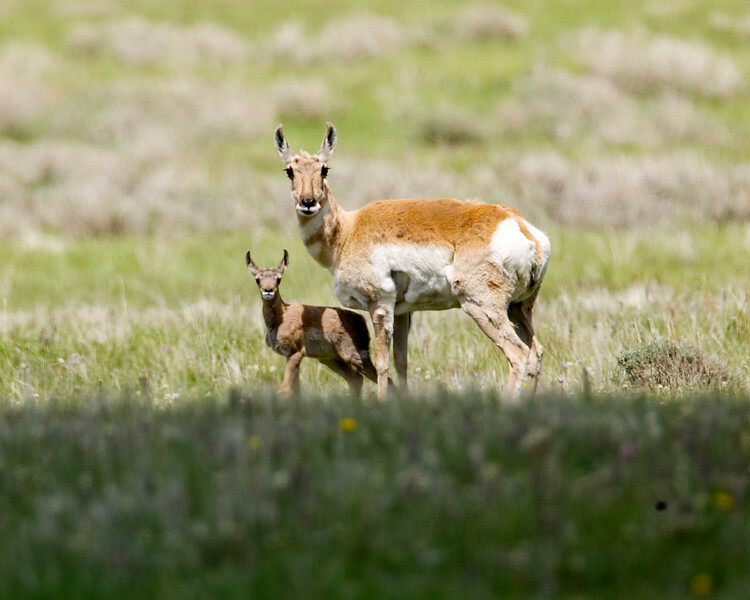 Mother and juvenile Pronghorn in Red Rock Lakes National Wildlife Refuge, Montana. The pronghorn outruns all his predators and are only exceeded by the African cheetah in speed(45 mph). June 14, 2008.